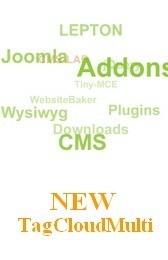 Description: With this module you can display external XML and RDF/RSS (0.9x, 1.0, 2.0) newsfeeds on your page. If you are not sure, please call "phpinfo();" on a code(2) page. - Minor additions inside preview; add "use_utf8_encoding" and "own_dateformat" to configuration table. - Correct time used in preview. - Remove typos in language-files. - rename class "c_date" to "newsreader_date" to avoid nameing-conflicts within x_CDate class. - minor cosmetic (css-)changes in preview. - Bugfix for missing own_dateformat. - Bugfixes inside the preview. - Remove tab-index inside modify.htt. - Bugfix inside ConvertCharset.class.php for empty strings to convert. - Remove unnecessary keys from the language files. - Remove unnecessary "alt" attribut from preview. - Bugfix for multible newsreader sections on one page for the language files. - Add image-block to view.htt to supress empty image-links. - Remove unnecessary "alt" attribut from output. - Add 'add.php' to the module. - Codechanges and bugfixes inside modify.php, save.php. - Additional fields and changes inside languages and help. - Add README.md to the module. - Add field for own date-time format. E.g. "%A - %e. %B %Y - %H:%M"
- Add class c_date for date-time formating to the project. - Additional "use_utf8_encoding" option in the interface to get rid of "feed is missformed" messages. Add a new info_icon for backend-interface. Minor codechanges inside the modify.php. FTAN support for WB 2.8.x. Add EditCSS button to the backend-interface. Fix for missing values inside preview.php and some codecleanings. © 2008 - 2019 websitebakers.com, all rights reserved | this page was last modified on 14.May 2015 at 15:48.